Drive Controlled Pumps essentially consist of three components: an AC drive unit (frequency controller and electronics), an asynchronous or synchronous motor, as well as a hydraulic pump. The pump can be either a vane pump – in single or multiple design – or a variable displacement axial piston pump. 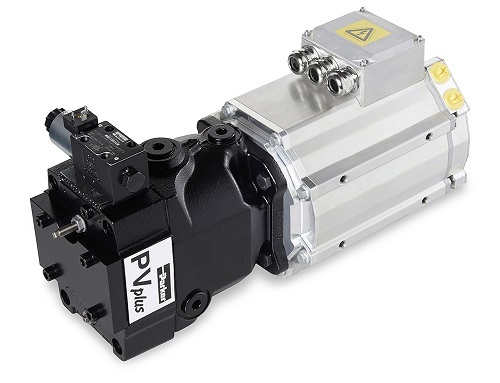 Drive Controlled Pumps enable the central, regulated hydraulic supply of all drives. Thus they provide the exact power that is required in the cycle at all times.